If you want to fly to Canada, then Air Transat is one of the best options available to you. There are multiple direct flights to Canada from the UK: including Glasgow to Toronto, Manchester to Vancouver and Toronto, and London Gatwick to Vancouver, Toronto, Calgary, and Montreal. 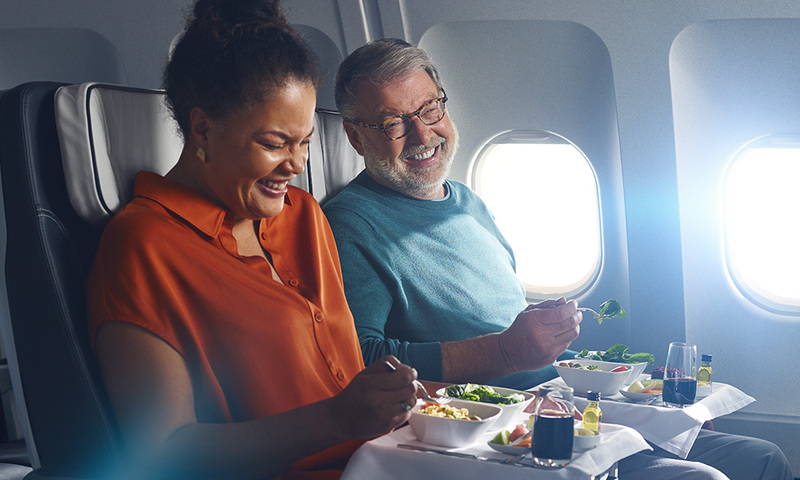 Not only are their flight routes convenient, but when you book with Air Transat you can choose between three different cabin classes to suit your needs. 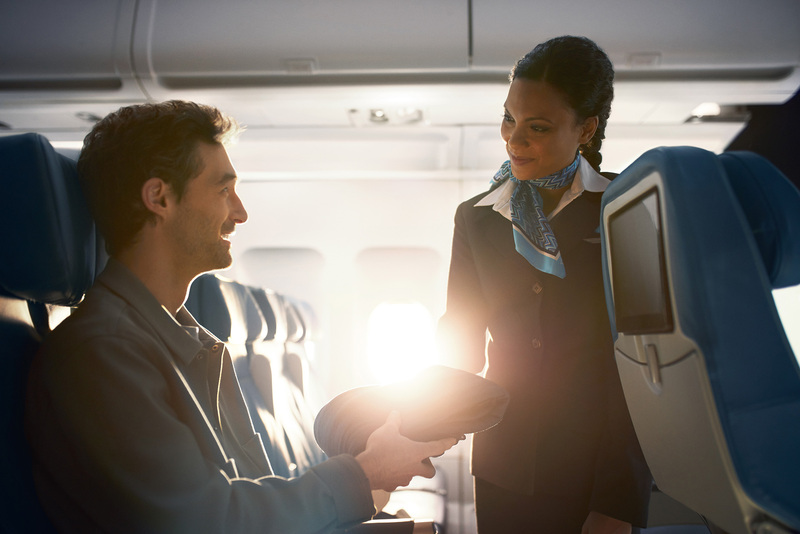 Here’s an overview of what is available to you in each Air Transat Cabin Class. 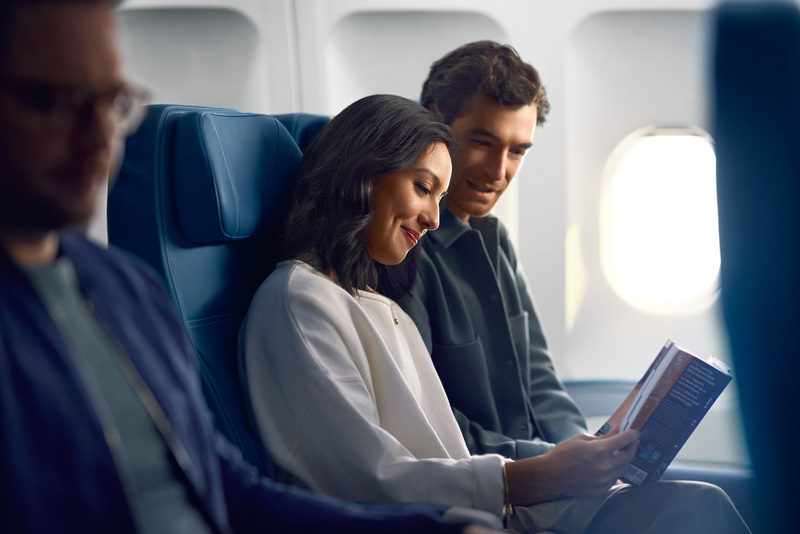 Get comfortable in Air Transat Economy Class with comfortable leather seats on all aircraft, and a four-way headrest on all Airbus aircraft. Then treat yourself to something from the new Bistro Menu that is offered on all transatlantic flights, which includes a choice of two hot dishes, served with salad, a dessert and a beer or wine. Similar to Air Transat Economy Class, but with a few extras. Perks include free standard seat selection, check-in at an exclusive desk and priority boarding, as well as a dedicated Air Transat line at the security checkout in Montreal, Ottawa and Vancouver. During your flight you’ll be gifted a Comfort Kit, including a blanket, eye mask, neck pillow and a set of natural wood earbud headphones. You’ll get a welcome alcoholic beverage and snack, as well as the meal from the Bistro Menu. On arrival, your checked bag will be one of the first delivered. Club Class can be found in an exclusive, 12 seat cabin with reclining seats. On-board perks also include a Welcome Cocktail, personal amenity kit, complimentary snacks and alcoholic beverages with a quality selection of wines to choose from. On top of that you’ll taste Canada, with the gourmet Menu by Quebec chef Daniel Vézina! At the airport you can check-in two pieces of baggage at 32kg each and enjoy priority services throughout including a priority queue at Montréal, Toronto, Vancouver, Glasgow, Manchester and London Gatwick airports. Which Air Transat Cabin Class sounds like the right fit for you? Let us know in the comments!